GUYS! FALL IS HERE! Well, not really officially yet, but there is pumpkin-spice-everything everywhere and it’s starting to cool off and get darker earlier. So basically, it’s here. I am the happiest me from September – December. Is that weird? I love all the fall fests and the smell of the air and there are about 5 million and one reasons to eat apple cider donuts in excess because…um, they only come out once a year? Obvs. Then, there’s Christmas. And don’t even get me started on the cookies that are made in my family. And, I mean…I can’t not sample my face off while baking them because it’s tradition, and I’m not a tradition breaker. Anyway – This time of year is pretty much a constant love fest for me, so be prepared for a whole lotta’ really annoying happiness and cheer. It may or may not be sprinkled with parental exhaustion and complaints about being cold 24-7. Just go with it. But, that’s not why I’m posting on this glorious Friday. No sir-eee. I’m posting about another lil’ love fest going going on right now in my living room. I received this box for free in exchange for my honest opinion. I love this box so incredibly much. 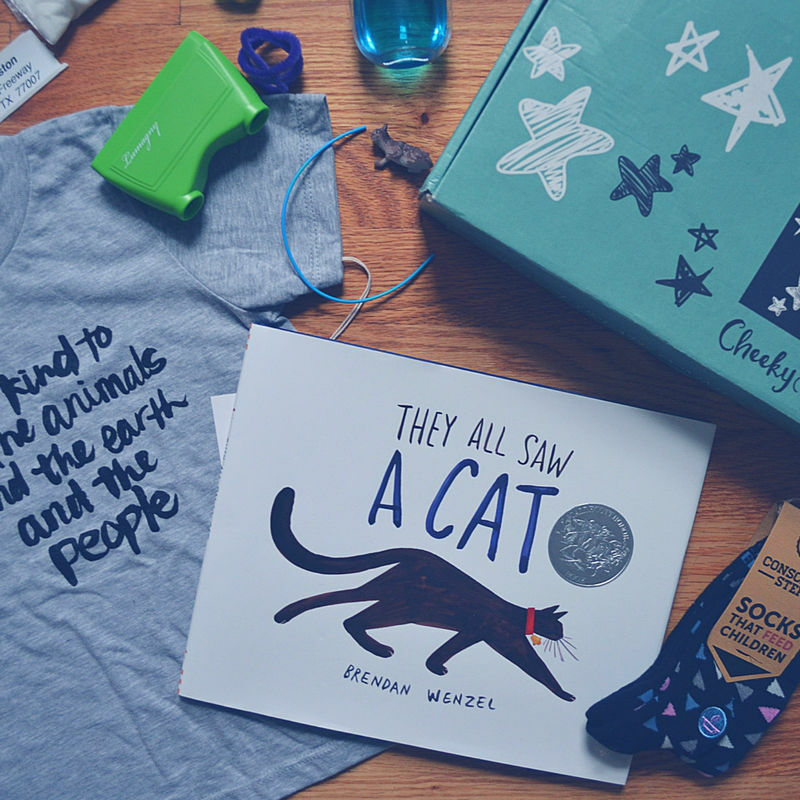 There is something so magical about receiving products that are developed to help you and your kiddo learn more about giving back to the community while fostering that sweet lil’ imagination. And, the kids crafts included in the box are perfection. I made the video just shy of 4 seconds after the delivery guy plopped it on my doorstep, so I’m sharing the full deets below as well (which help make sense out of the stuff I wasn’t 100% sure of when unboxing). 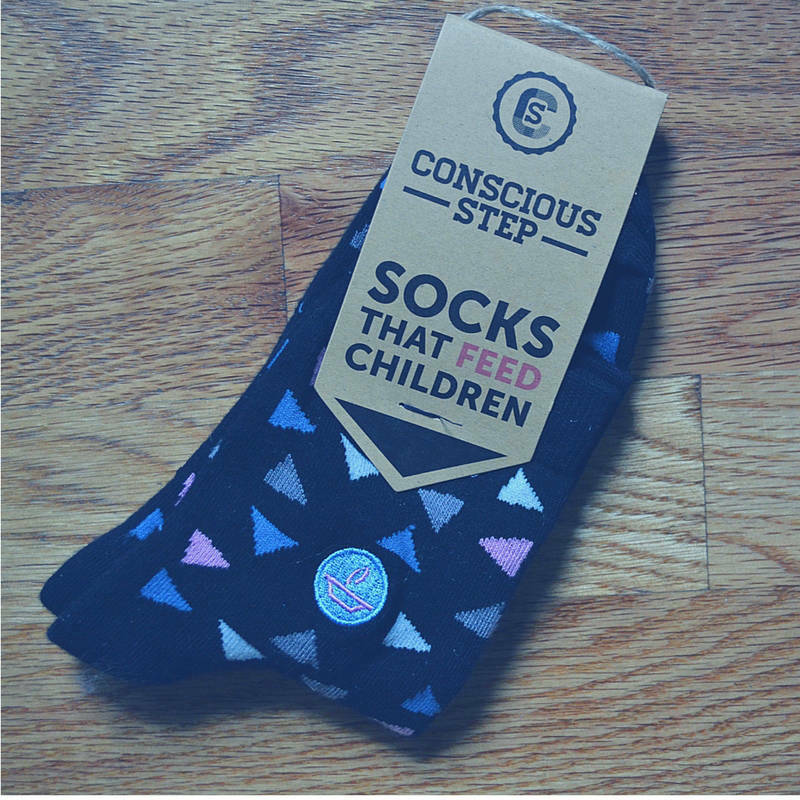 The box came with some goodies, including these Conscious Step Socks (for me! ), and I’m obsessed with them. 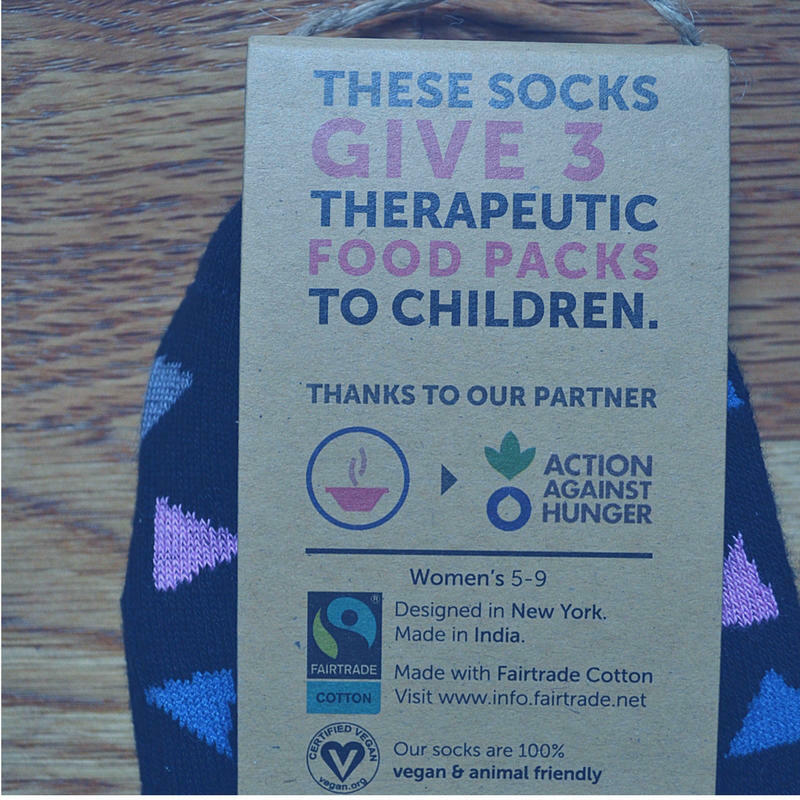 These socks are not only adorable and soft, but every pair helps to fight a cause (like hunger, HIV treatment, protection of the environment and disaster relief). LOVE. THEM. 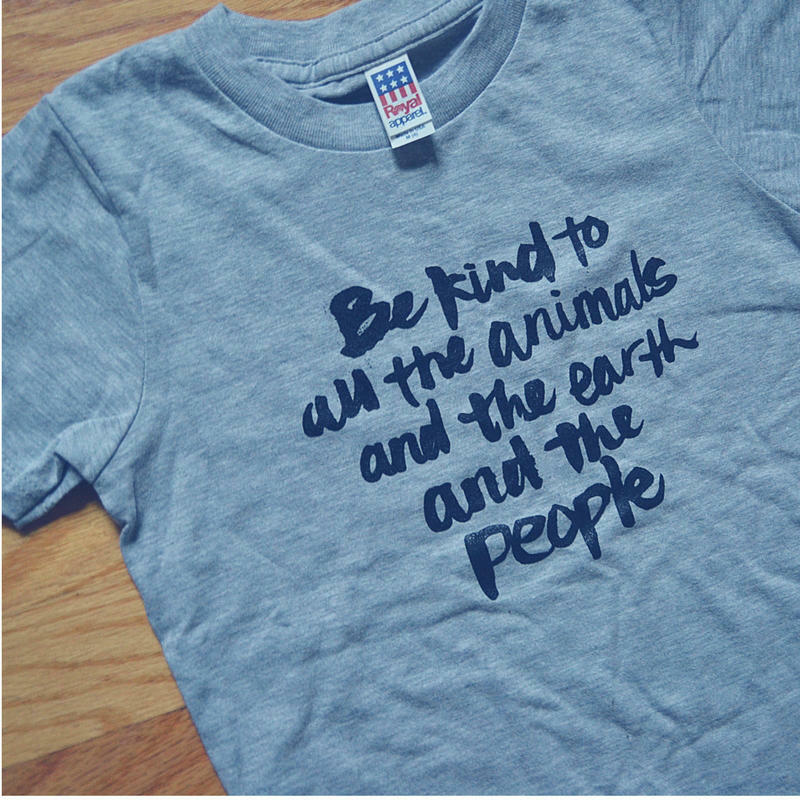 My little lady received a t-shirt from Scout Folks and the message couldn’t be more important: Be kind to all the animals, and the earth and the people. We have this exact message hanging in her closet, and we recite it often. SCORE. Someone (not naming any names) may or may not have wanted her picture taken in her brand spankin’ new Mantra Tee. 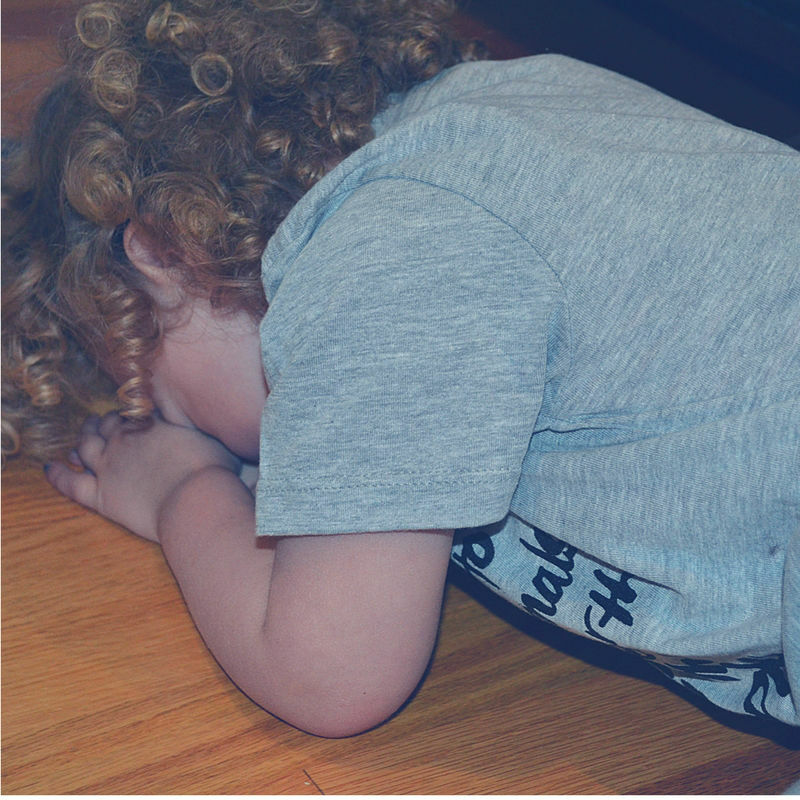 Toddler life. If only it was acceptable for me to curl up in a ball and throw a full on tantrum because a shirt doesn’t have sleeves. 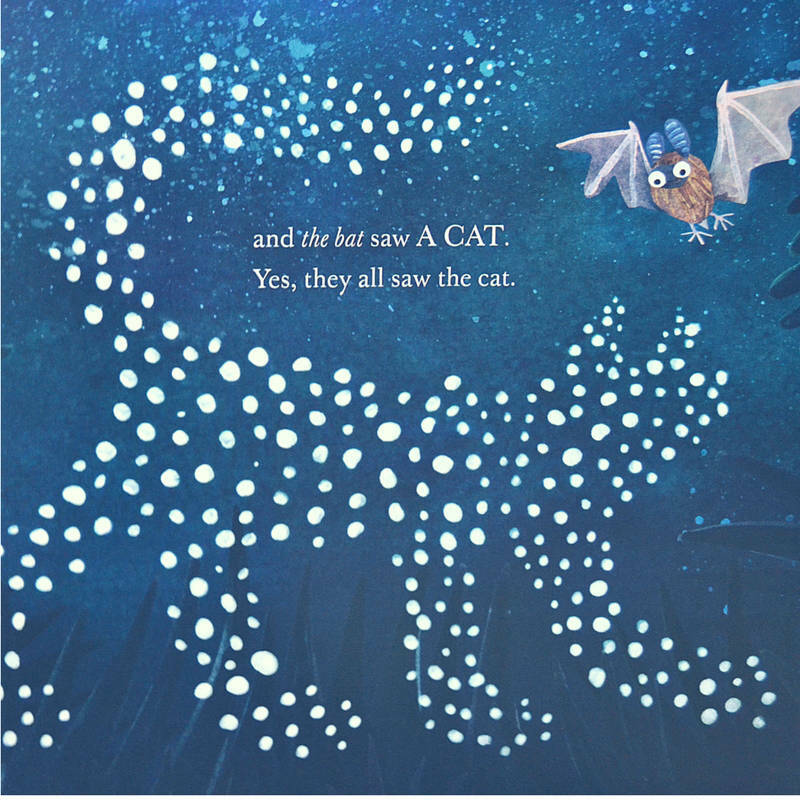 As if it couldn’t get any better, we got They All Saw a Cat, a book that is about observation, imagination and perception. Bonus for us, it was illustrated by an artist we are already obsessed with. Have you read Some Pets? 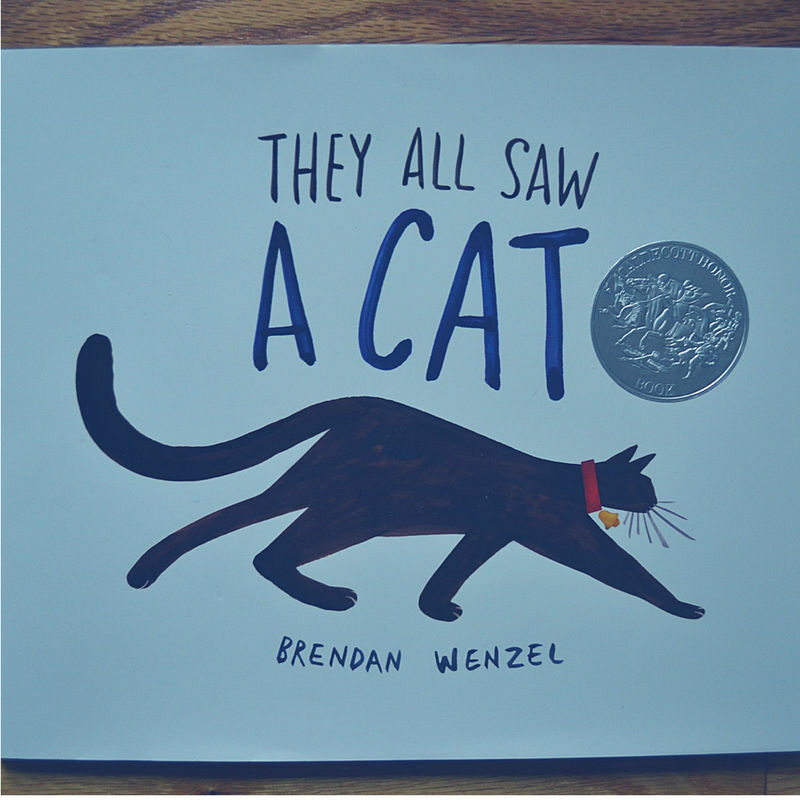 It’s the cutest book in the land. 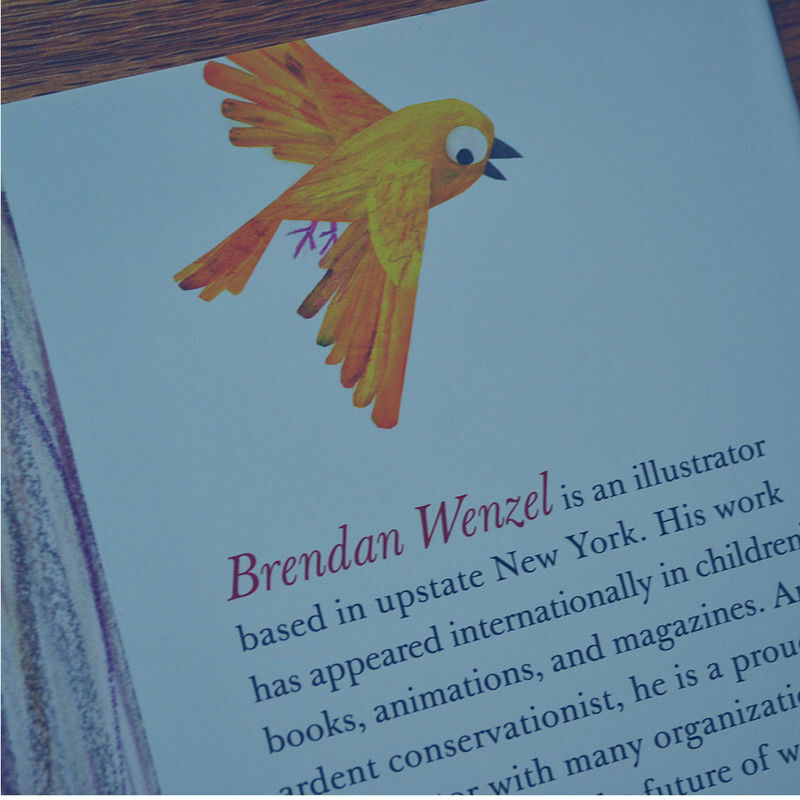 Anyway, this book is the sweetest (we’ve only read it 6,000 times so far)…AND, the illustrator is apparently from upstate NY which is my hometown, so HOLLA! 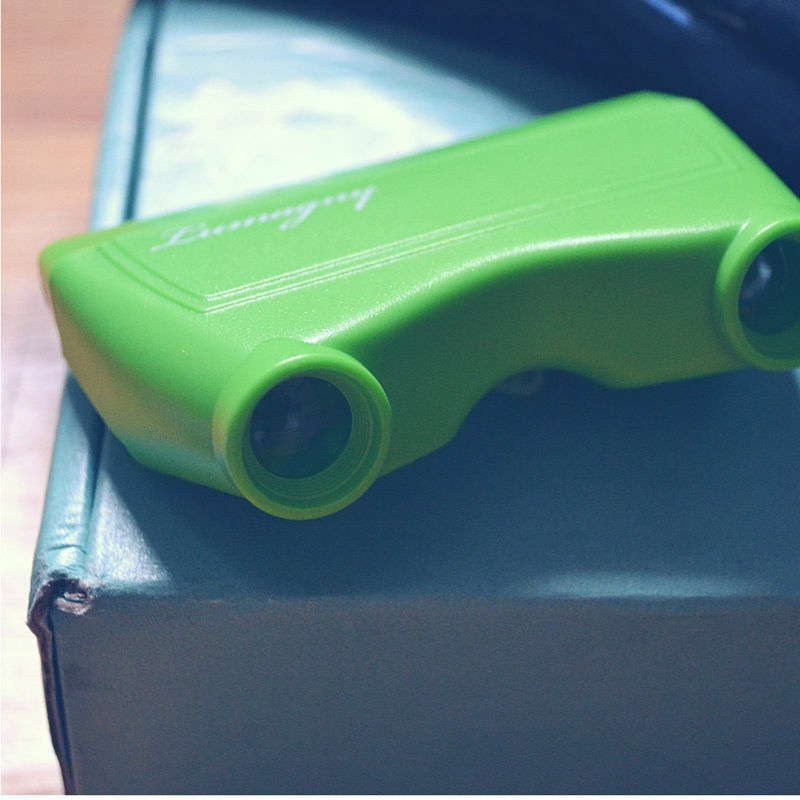 What better way to observe, than these Eye Spy Folding Binoculars? Someone is eye-spying and seeing a variety of interesting wildlife in our home these days (more on that below). 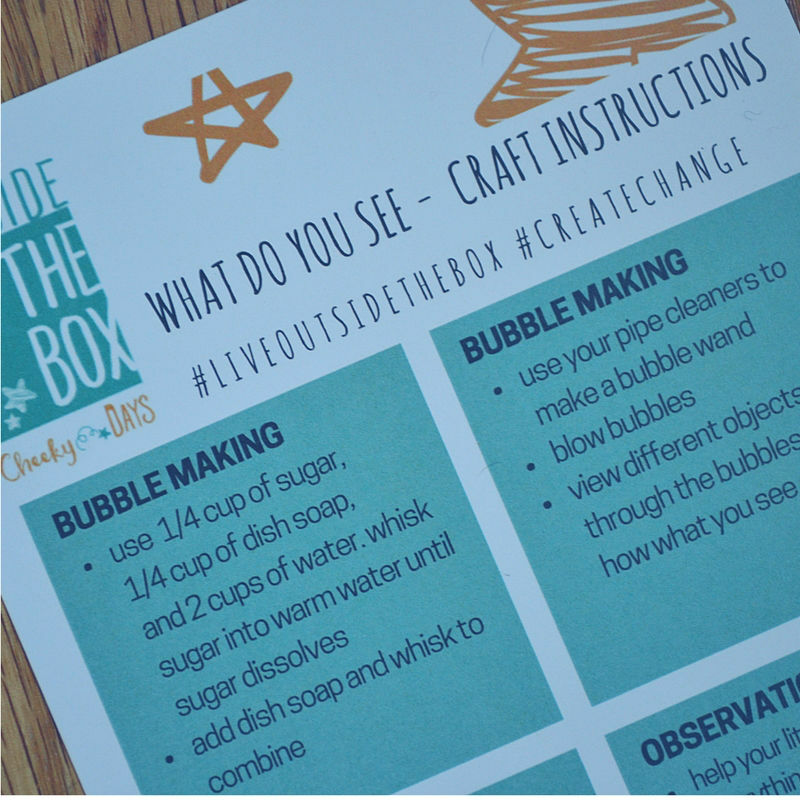 The box came with 4 crafts and activites for us to embark upon – including Weekly Suggestions and a “What Do You See Challenge” card to get us in the mood for crafting and observing and stuff. 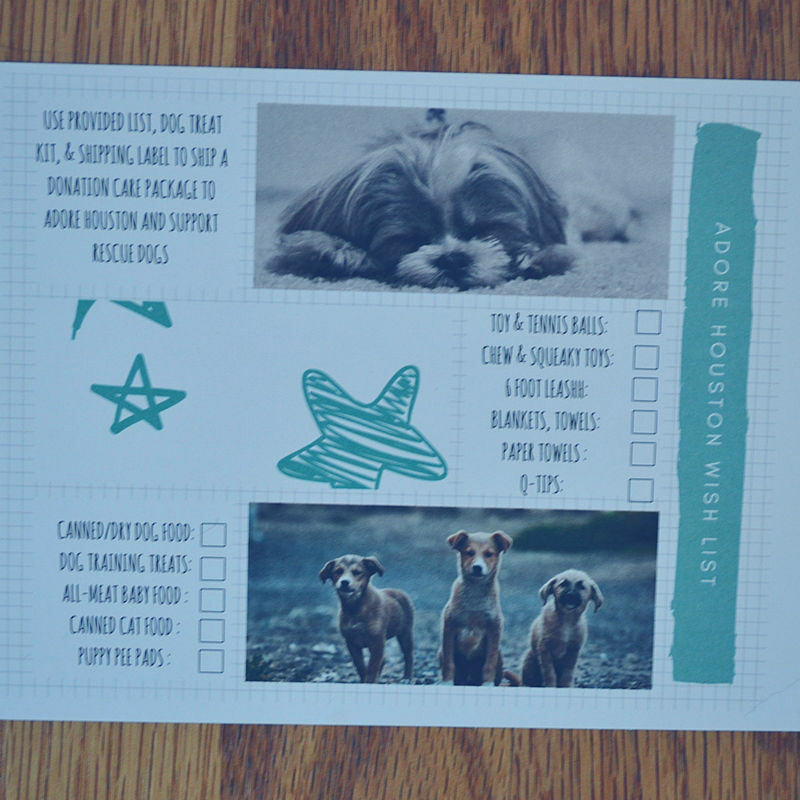 Week 1: Read Challenge Card & Visit Adorehouston.org. Done. For starters, the website is really well designed and has totally adorable pics of puppies (all of which I want to adopt). But, they also talk about the local animal crisis – homeless pups and dogs who are dumped. Can you hear my heart breaking? Because every time I think of an animal in a horrible situation or lonely and lost, my hear little breaks in two. While this rescue isn’t local to most of us, I encourage all my internet besties to check em’ out, donate if you can and / or find a local rescue you can support with your time or your cash. They really, really so desperately need it to care for these babies. 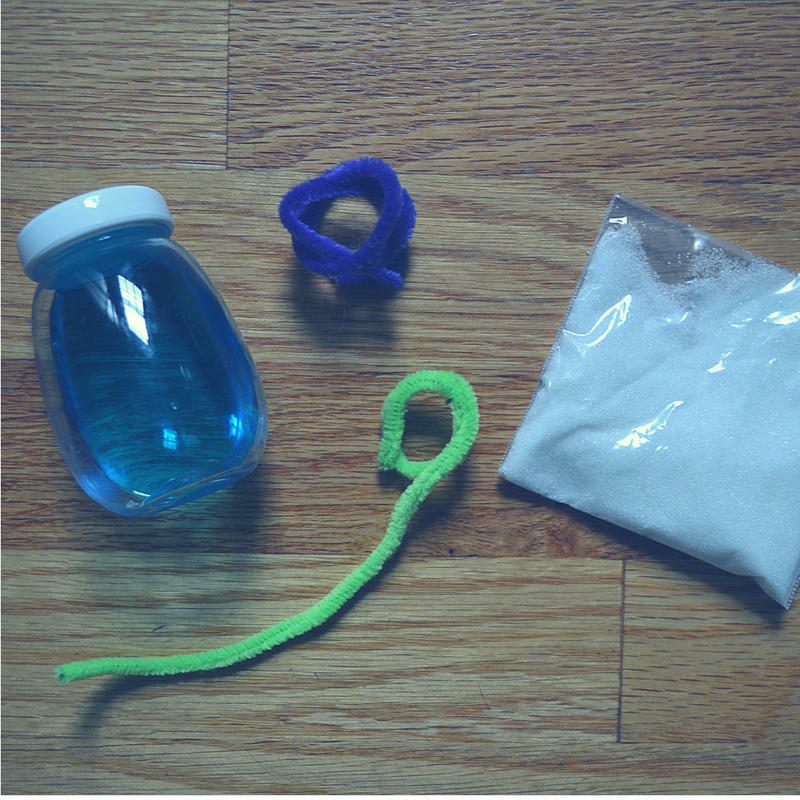 Week 2: Make Bubbles & Cat Charm Bracelet, Rock Your mom socks and share the message. 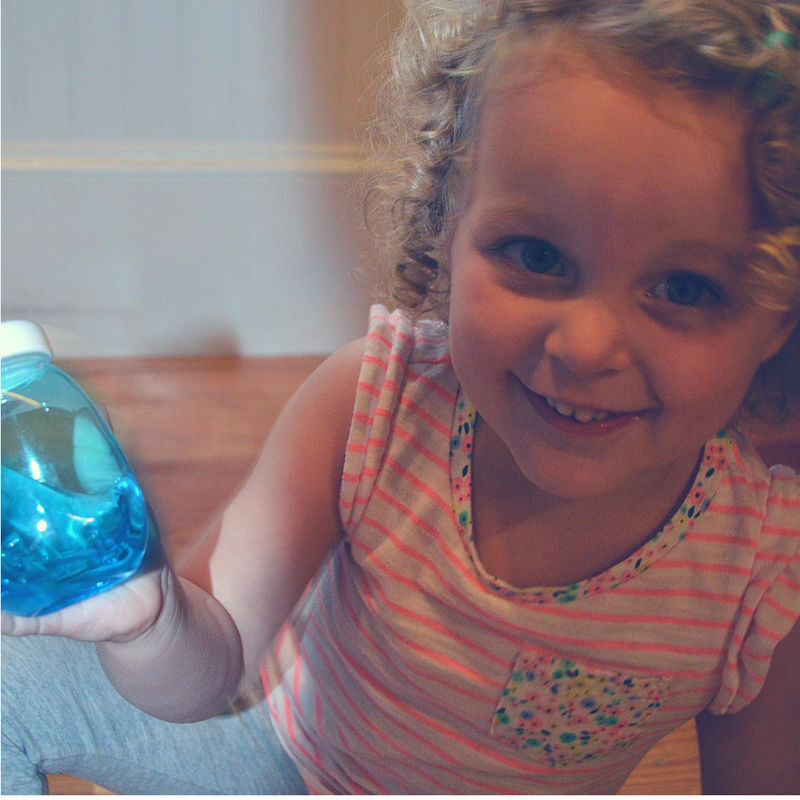 Next week we will be making our bubbles. 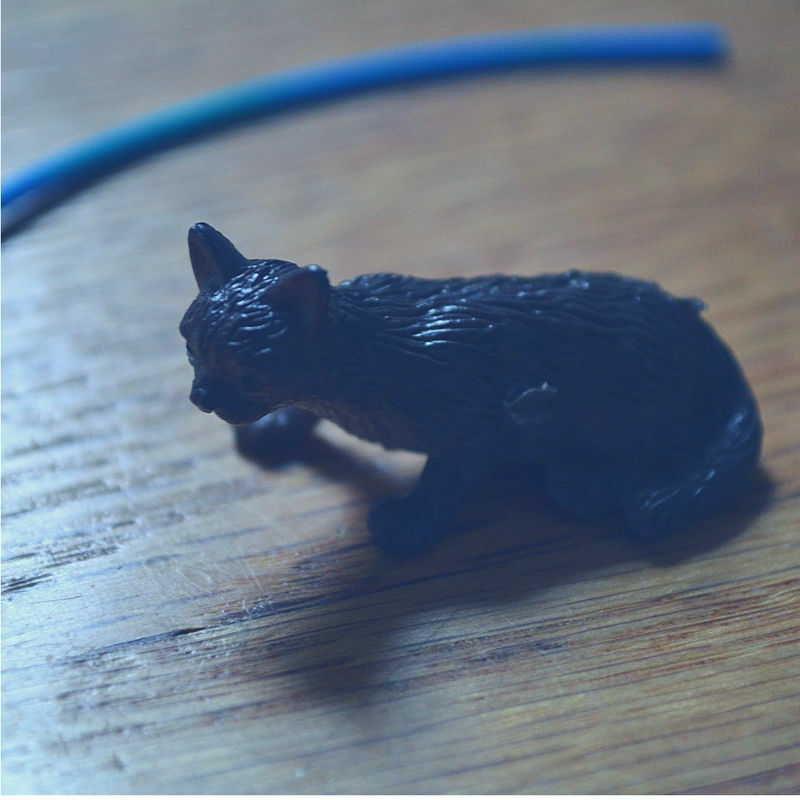 The little kitty cat charm is already lost somewhere in my house. Ironically, our rescue kitties stole it out of the box and likely hid it somewhere. We’re still trying to break them of their street habits! I’ll most def. rock my socks and share pics on social though! 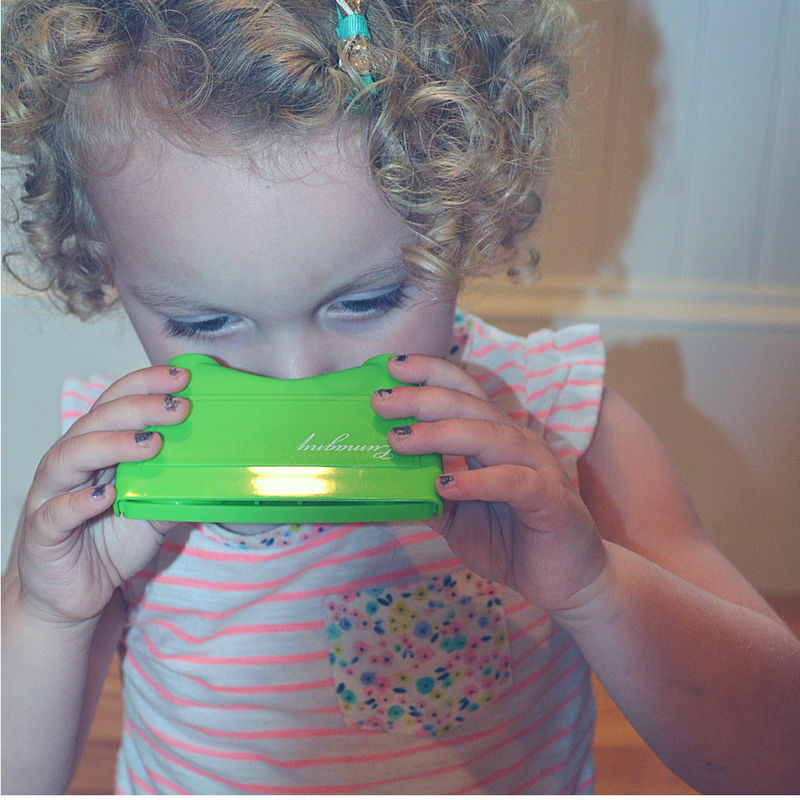 Week 3: User Your perspective Cards & Binoculars We’ve been using the binoculars on the daily. 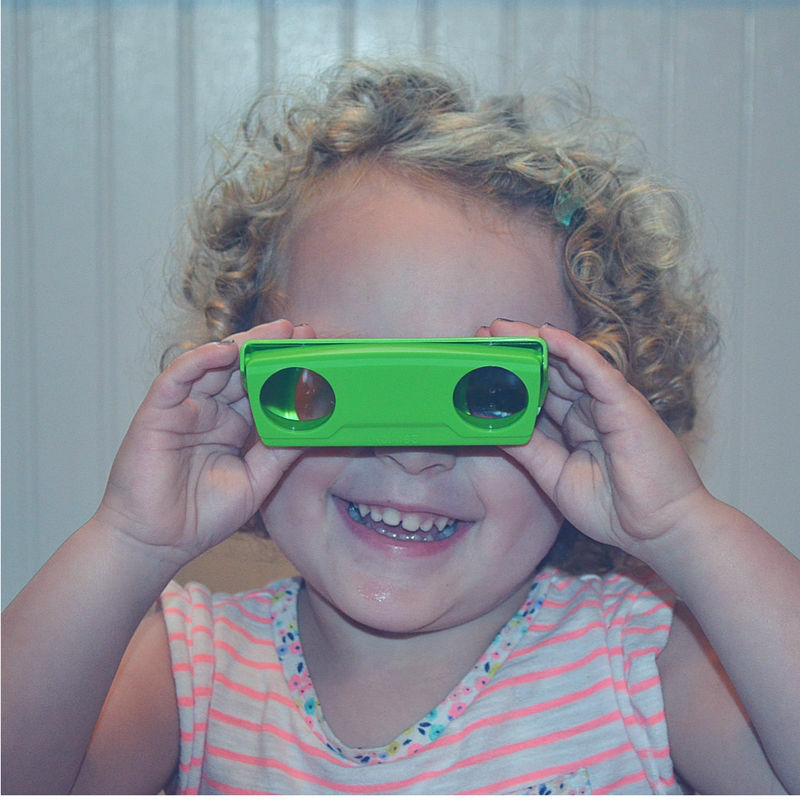 My sweet pea is obsessed with pretending our house is a jungle and locating (invisible) monkeys, llamas (OMG, wait until you see her Halloween costume) and emus with her new magical looking-specs. I can’t wait to sit her down and go through the perspective cards. Her drawing skills have taken a huge jump this last month, so I can’t wait to see the finished drawings. AND, I’m stoked about picking a “thing” each day (cat, dog, tree, water, flower and people) and trying to find it in books, mags, our neighborhood and everywhere in between. Yey for this magical box! 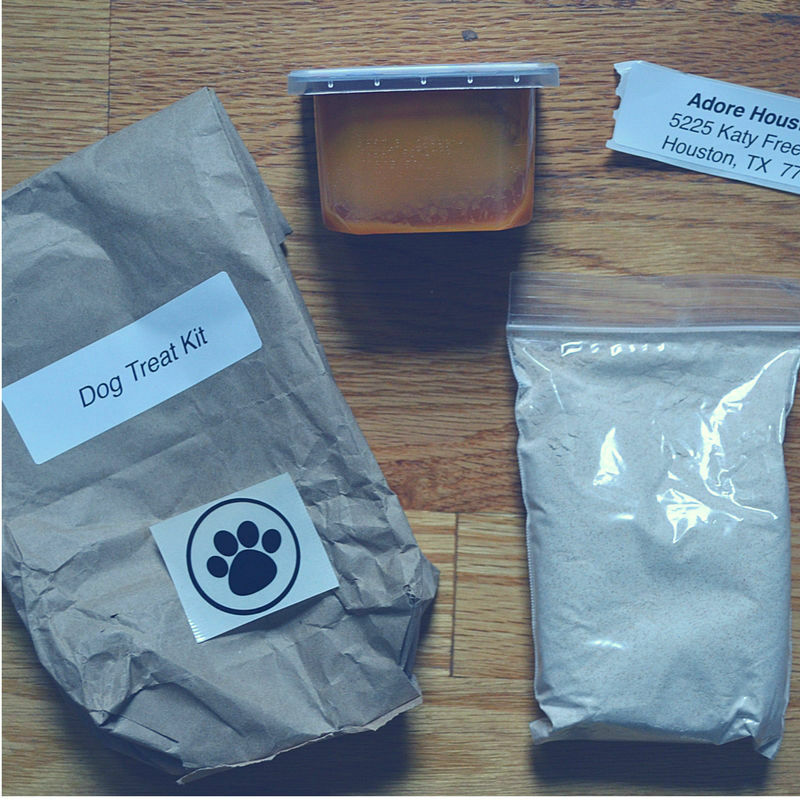 Week 4: Make your Dog Treats & Donate to Adore Houston. STOKED to bake these little biscuits and send them (along with a care package of necessities, toys and other food) to Adore Houston! With all that’s going on in the Houston area right now, I’m sure they can use anything and everything (I posted a video earlier this week on Facebook about another way to donate to Hurricane Harvey victims if you’re looking!). 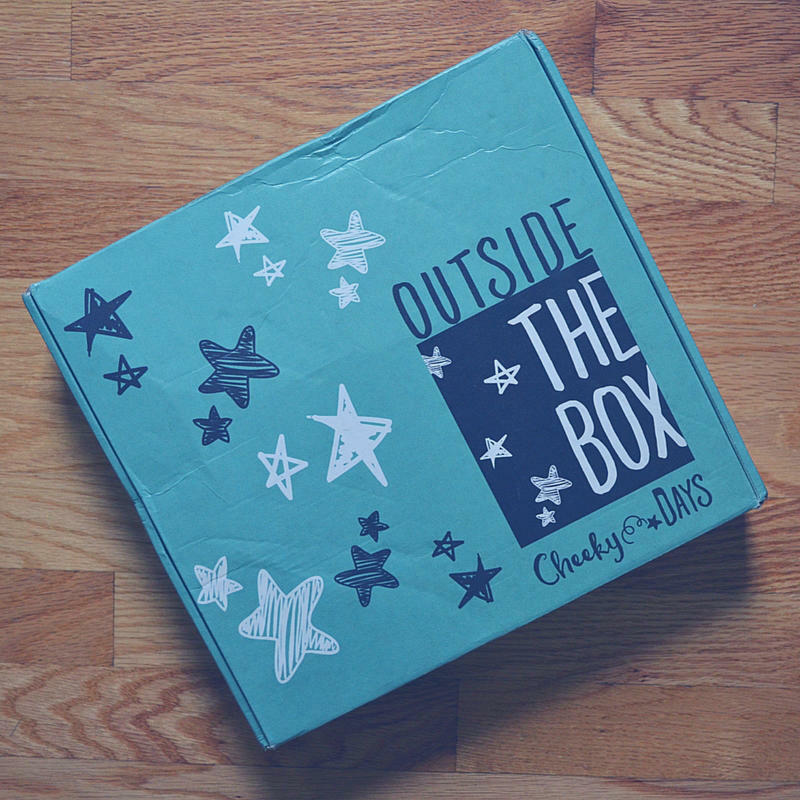 WILL I LIVE OUTSIDE THE BOX AGAIN? Yes. All the yesses. This box gives me all the feels. 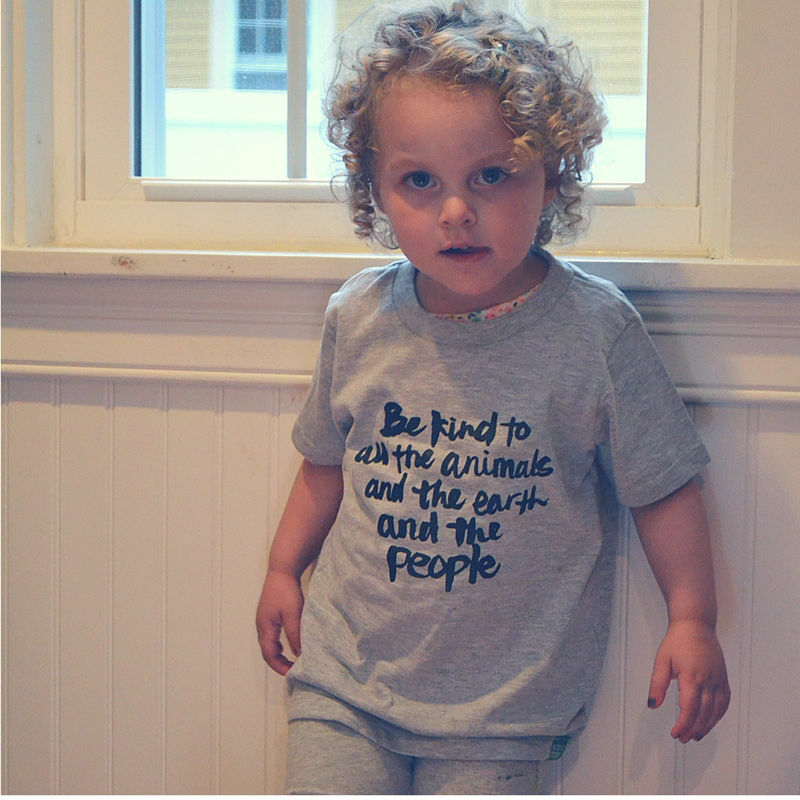 It’s so well put together, thought out and its specially designed for families like mine, who want to spend more time talking with ther kids about real life stuff – like donating to animal rescues and supporting causes like hunger, and more. And, sitting down and digging into some good ol’ fashion kids crafts together (the kind that are already thought out and ready for you to execute). The love fest couldn’t be any more love-festy (hearts may or may not be floating around my head). 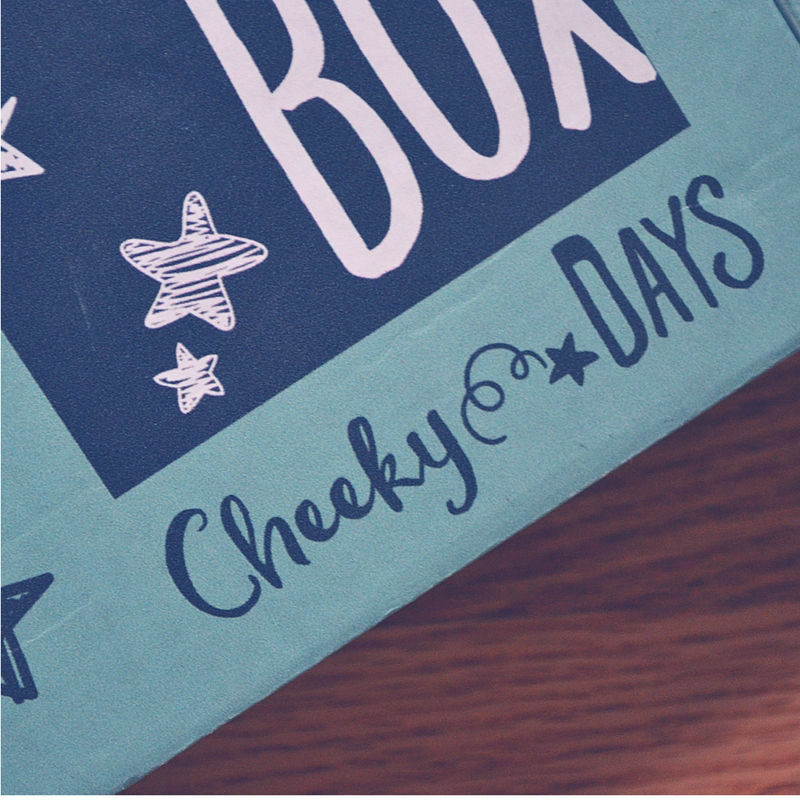 Let me know if you’re already subscribing to this incredible box – or if you are about to grab the next one because you’re now just as obsessed as I am. Yey! 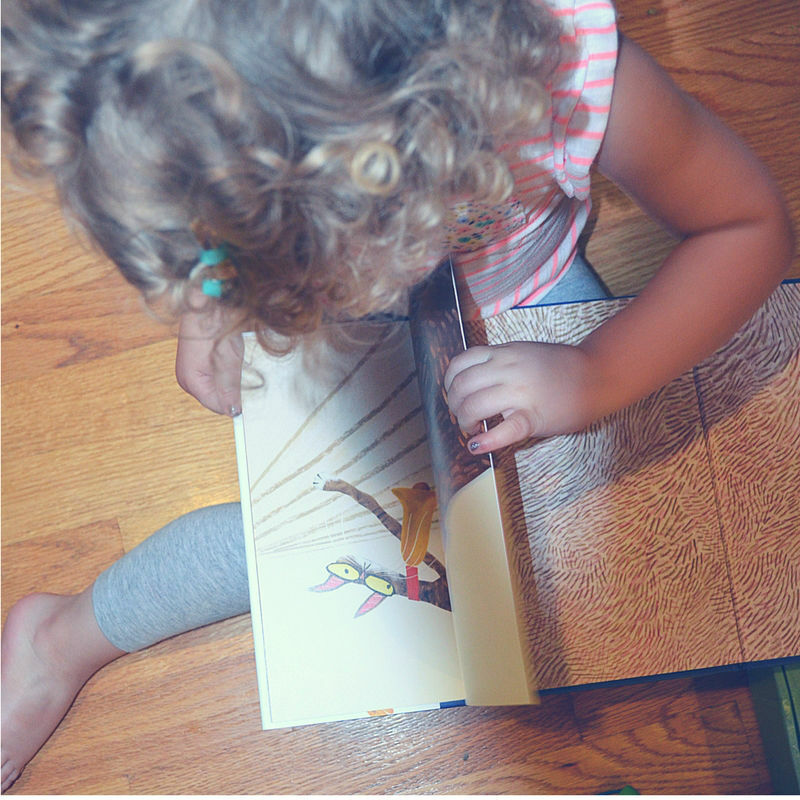 Find more awesome stuff for your kiddos right here! 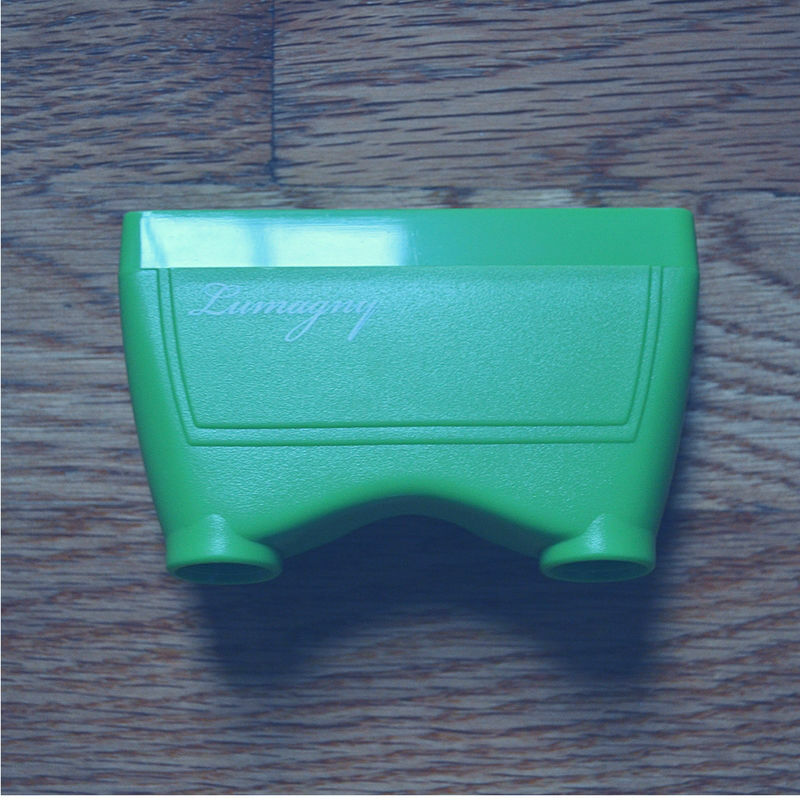 *DISCLAIMER: This post is a combination of my personal insights, opinions and thoughts on various topics and products and may contain affiliate links. I earn a small commission if you make a purchase through my links, which helps me continue on this fabulous journey of blogging! Full disclaimers avail. here.